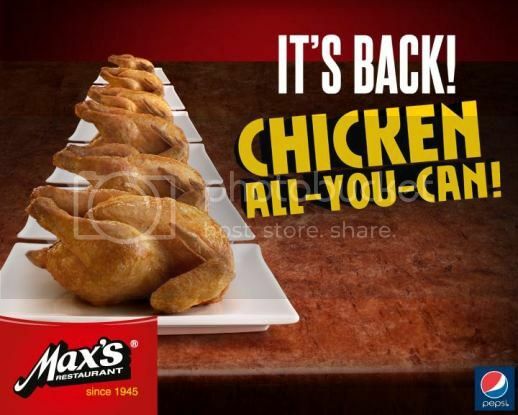 Max’s Chicken-All-You-Can Promo Is Back! 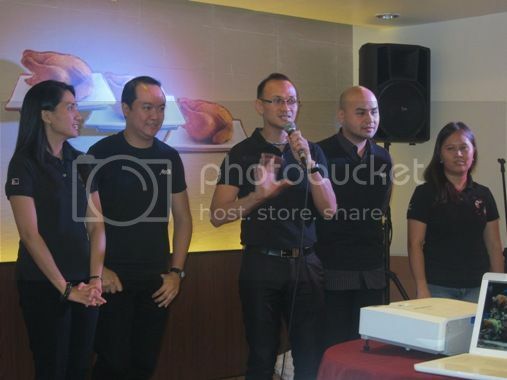 I was one of the lucky food bloggers who were invited to the launch of Max’s Chicken-All-You-Can 2011 promo at Greenbelt 1 last night. I had two of this, just like the rest of the girls in the picture above, so we all went home fully stuffed! Thanks, Max’s! Because diners are still clamoring for the unlimited sarap-to-the bones fried chicken offering that Max’s Restaurant had last year, they decided to do the Chicken-All-You-Can promo again this year, but this time, it’s bigger and better! For only Php199.00, diners will get the following: (1) unlimited serving of your favorite Max’s fried chicken and (2) ice-cold glass of any Pepsi softdrink that you can upgrade to bottomless drink for only Php28.00. Customers will also get to watch a show-stopping promo activation performance by employees of Max’s Restaurant every 6pm daily to signal the start of the promo. This is something you must see! 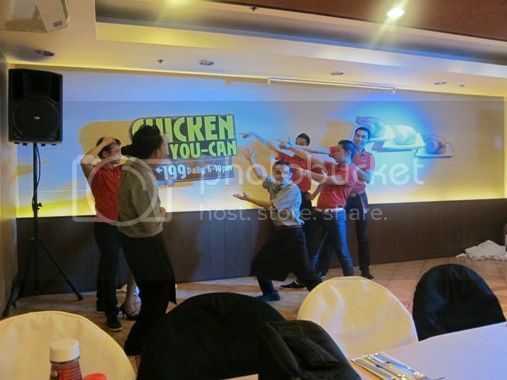 What’s more, you get Php20.00 money coupons for every Php200.00 spent during the Chicken-All-You-Can promo. You can use these money coupons to purchase any Max’s products within a year after issuance. Promo runs from June 10 to July 10, 2011, 6pm to 10pm daily. Log on to http://www.maxschicken.com or visit http://www.facebook.com/maxsrestaurant and be a member of Max’s official Facebook fan page. 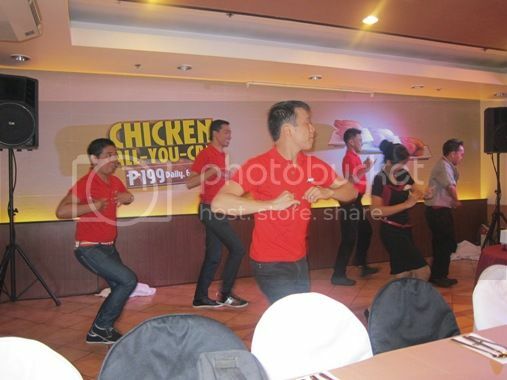 This entry was posted in Chicken-All-You-Can Promo, Greenbelt 1, Max's Restaurant. Bookmark the permalink. 9 Responses to Max’s Chicken-All-You-Can Promo Is Back! 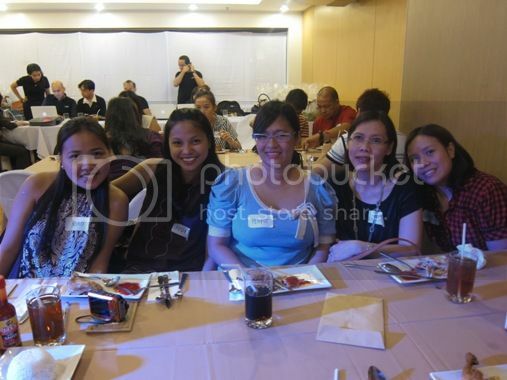 Max is one of the classic fave resto of my family…. This is nice! something to look forward to for the next 2 months, nice to see bloggers together! Yum! One of my dad’s and hubby’s favorite restaurants. Hubby’s excited… and so am I. I can’t wait! Sarap to the bones! 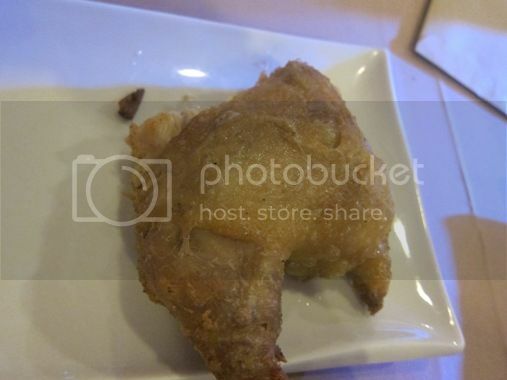 til now nga prang nalalasahan ko pa ang chicken nila! i had two rin just like u 🙂 superrrrrrrrr sarap to the bones tlaga noh?? We had a late lunch yesterday at Max’s. Bitin yung nakain naming chicken. Gusto ng lil boy namin kasi chicken. They just re-opened in Davao at Abreeza Ayala Mall here last month. This reminds me we may try this promo tonight.